Donate – Better Together Animal Rescue, Inc. If you’ve always wanted to help save lives, consider making a donation! 100% of each donation goes directly to the animals in our care. As a 100% volunteer and donation based organization, we could not do what we do without you! Tax Donations: We are currently in the process of applying for our 501(c)3 certification! Stay tuned for updates! Can Redemption: We accept cans and bottles! Our volunteers will redeem them and 100% of the funds will help the animals in our care! Employer Challenge! 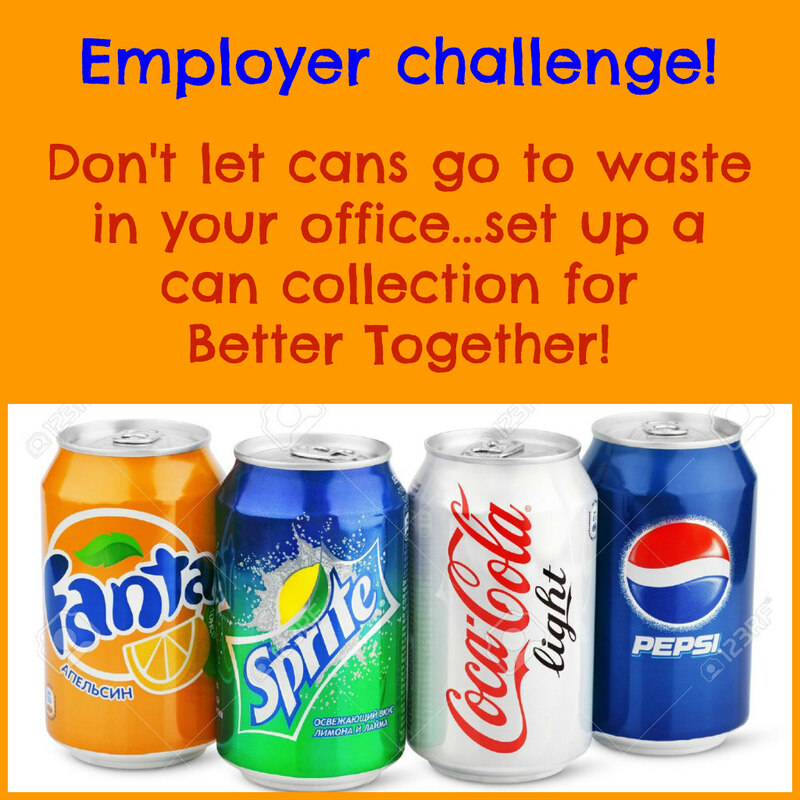 Don’t let cans and bottles go to waste at your workplace – consider setting up a collection bin in your office for Better Together! Please email [email protected] if you need help transporting your collections or to schedule an appointment for drop off at our adoption center! It’s you that makes a difference to get our shelter animals back to their quality of life. We would like to thank everyone (past & present) for your donations and time volunteering with Better Together Animal Rescue, Inc. We are grateful for any other donations! The smallest act of kindness is worth more than the grandest intention. Iowa Humane Alliance, Dr. Timmerman and Cory, our website sponsor.